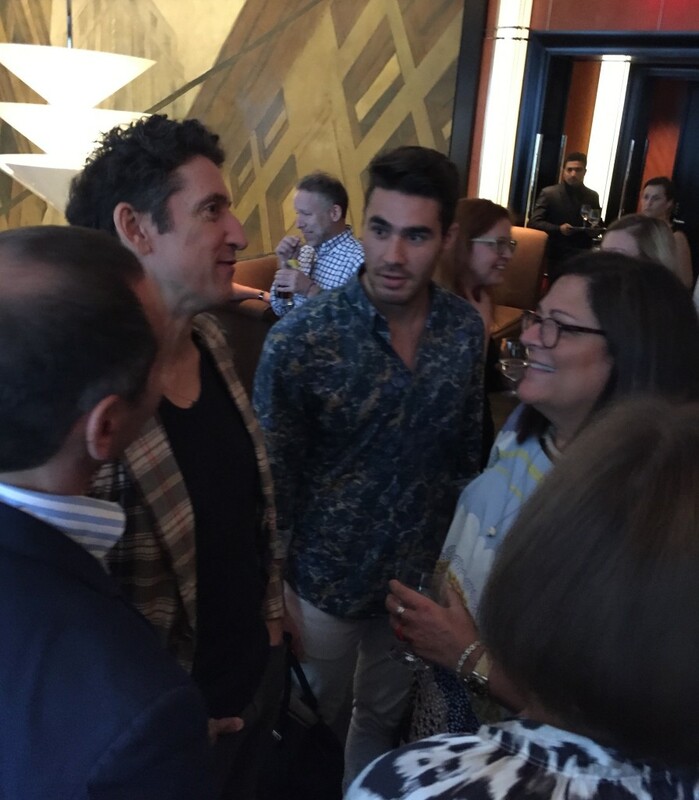 It was the hottest day of the summer until the heavens opened up with a monsoon just as the MensWearNetwork group was set to descend upon The Lambs Club’s second floor bar at The Chatwal. 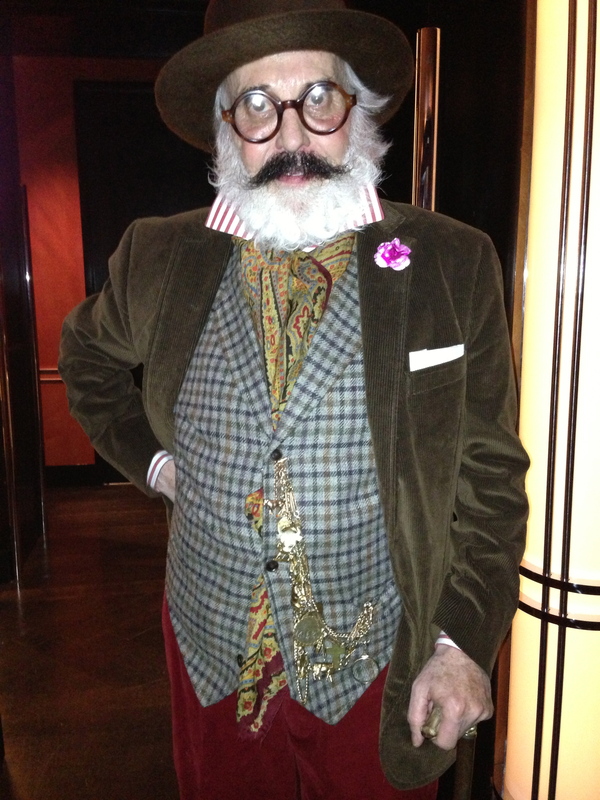 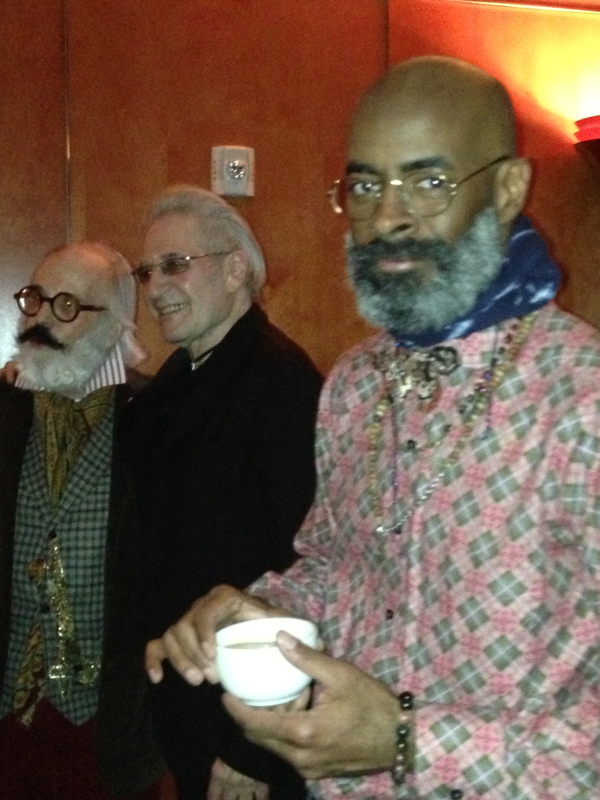 But the interior of The Club prevailed cool, serene and packed with just the right proportion of menswear industry members, including newcomers like menswear legend Alan Flusser, there for our July event to catch up after last week’s New York Men’s Day and NYFW:M menswear shows and this week’s Project, Capsule and MRket trade shows. 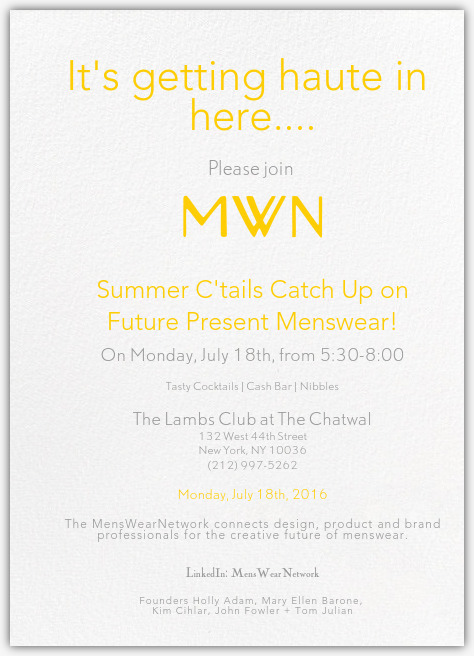 It was cool and comfortable inside The Lambs Club at The Chatwal Hotel Tuesday night during our July menswear market week meeting of the MensWearNetwork (MWN) minds.